Because we all have what it takes to make music, and because playing drums is easy, learning to play the drums is more about discovering and understanding what you already feel than anything else. When you approach learning to play the drums like a puzzle to be solved, then success is easy. Once you understand what to do and how to do it, then the actual playing becomes easy. This is the philosophy that underpins my teaching. 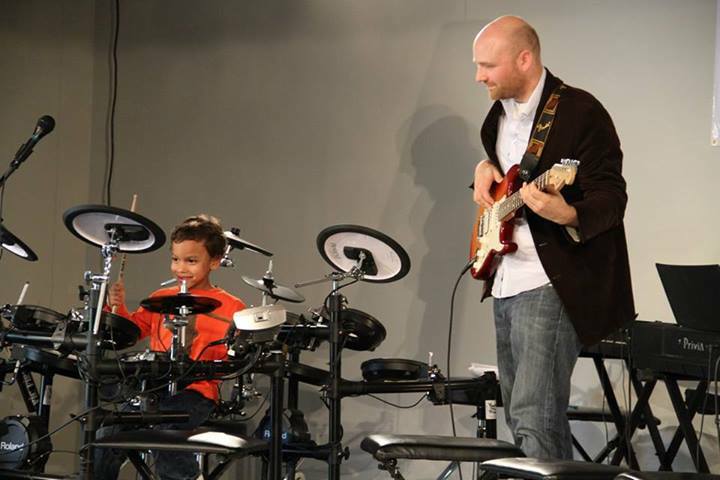 Guided by an understanding of how the brain processes rhythm, I guide my students to discover my students the basics of rhythm and of performance. I think about it like the Wizard of OZ. The ruby slippers of rhythm are already on your feet. But to figure out how to access it takes a journey. Practice time is ‘figuring out’ time, not time for rote repetition. The clarity is important so that students understand clearly what they are supposed to figure out, and how they might go about figuring it out.